Everybody knows 3D printing is big business in medtech – but do you know the full extent of the role it has to play? Ian Matthews, design engineering team manager, R&D at Owen Mumford explains. Across the manufacturing life-cycle, 3D printing promises to speed up processes and deliver products to customers faster. The market for 3D printing in healthcare is estimated to grow with a CAGR 17.5 per cent from 2016 to 2023, according to a research report by Credence Research. On its own, however, this technology is not a quick fix when it comes to designing and developing new medical devices. Alongside this approach, experience of the physical properties of different materials under various designs can be combined with advanced software modelling to improve the finished product. By taking an end-to-end design approach, companies can reduce the time taken to prototype device designs but also improve the quality of the finished product too. As part of the design for a new product, 3D printing techniques can be used in different ways depending on the stage. At the beginning of the design stage, Polyjet printing can be used to support iterative development. This approach provides high resolution and speed of development, which suits the early stage of design. However, Polyjet-produced parts can be relatively brittle compared to production quality designs. Alongside this, Fused Deposition Modelling (FDM) uses an additive manufacturing approach that is suitable for prototyping and production. Due to its physical form, FDM provides greater consistency when evaluating device function; however, it can be coarse and rigid in form, which can make it less suitable for external presentations. Looking at Polyjet and FDM together, these techniques can develop prototypes faster. By knowing the difference between these processes and their specific benefits, engineers can produce the right kind of parts with less rework. This expertise in understanding different physical properties is essential when taking devices from initial prototype to wider development. By using the right approach, companies can cut down the time taken to develop multiple iterations whilst improving their designs. When showing products publicly, Stereolithography (SLA) can provide prototypes with a high quality look and feel. Whilst generally used for high resolution, aesthetic samples within the early stages, using SLA can also be great for high-profile opportunities where customers will get to experience the prototype. However, using SLA can be expensive compared to production of plastic parts using other processes. At Owen Mumford, we have developed other approaches that can make use of injection moulding and soft tooling to look at prototypes in higher volumes. 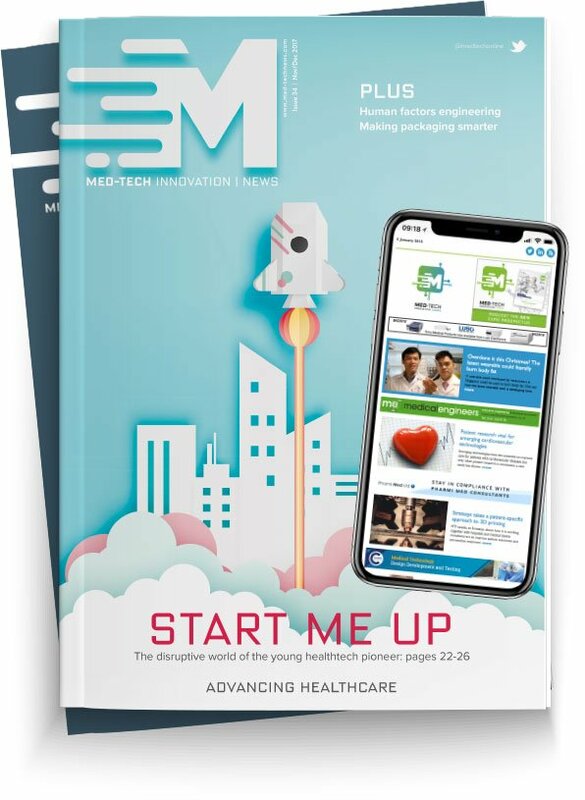 This “middle stage” between initial prototype and full production can help medical device manufacturers prepare for summative trials and also provides an idea of representative manufacturing challenges. Injection moulding is not a 3D printing technique in itself; however, by designing 3D moulds to contain different injected plastics, 3D printing can support companies in testing the use of different plastics quickly. This approach can be linked to experience with different physical forms and understanding of how devices react over time. By using materials in this way, manufacturers can reduce the time taken to bring a product from prototype to production. This approach can then be supplemented with soft tooling. By using this approach, higher volumes of prototype devices can be created for larger sample size testing and usability studies. This step can get devices into the hands of potential users and show up potential issues around variability that one-off devices and 3D printed prototypes cannot. While 3D printing can help companies get their designs formalised faster, this should supplement experience and functional design skills. By using knowledge of how moulded parts may react differently to those created using 3D printing, engineers can organise the production strategy to benefit the company. For example, material wear and behaviour over time is very different across various plastics. Knowing how different materials will behave over time based on common usage patterns can help avoid issues that would otherwise affect performance during usage studies or clinical trials. This real-world experience is especially valuable around impact loading. While 3D printing can inform design choices, these parts can’t accurately represent how the production device might behave. Simulation of designs using computers can help to point out potential issues that can then be removed before full-scale production begins. Using knowledge of different materials can have a profound effect on the performance of parts and assemblies within devices. Without this experience, companies will find that development takes longer and more iterations will be required. 3D printing makes it possible to advance medical device design while also reducing cost. However, by looking at the design process as part of a continuous and joined-up process, companies can speed up their time to market and see faster returns on their investment.